Want some quick advice? Don’t leave this page until you’ve fully read the 4 points below. 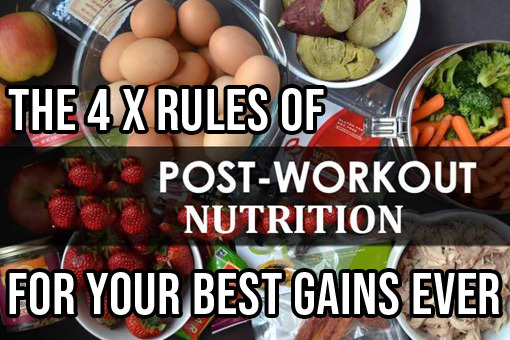 If you do all 4, you could actually DOUBLE your gains, if not more! What’s up with the 1 scoop of whey after training? 1 scoop (30g) will give you 22-25g protein max. 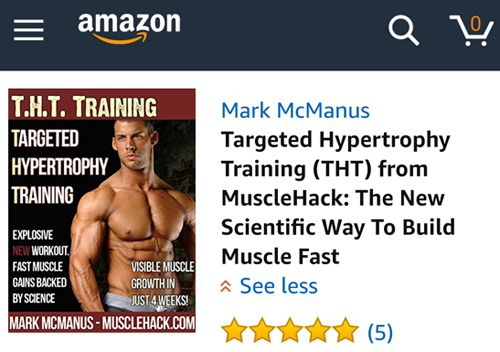 However, research clearly shows MUCH better gains when people get 40g protein after training – that will require about 50g of actual powder, or roughly 2 x scoops. So after you’ve stimulated growth with your THT workouts, put ~50g whey into your shaker bottle. If you’re in the USA, take a look here for a good whey. UK and Europe people see here. NOTE: Before you read on, I put together a short “10 BEST PORTABLE PROTEINS” guide that you’ll love. Being away from home doesn’t mean you can’t get your protein in. It’s easy with my handy guide. 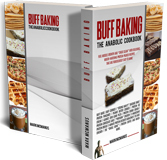 Fat is needed in your diet – you simply will not produce enough testosterone to make good gains without it. But the period immediately after training is NOT the time for fat consumption. Fat will slow the absorption of protein (a process called ‘gastric emptying‘) – but we want QUICK protein digestion at this time. As quick as possible, in fact. So DON’T put any fat in that shake. Not oils, not nut butters, nothing! No fat. Whey in water works best (milk is fine at other times). 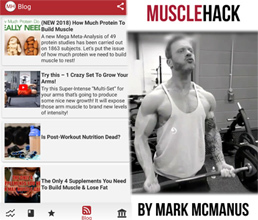 Did you see my recent post where I advised you to take 5g creatine AFTER training, not before? This has been my standard advice for years, but it’s only recently that a study has actually PROVEN it to be more effective. And not by just a little. Lifters taking creatine AFTER training, gained TWICE the lean mass of those taking it before. 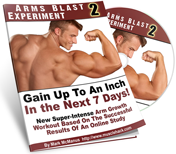 To you guys and gals on the Advanced THT plan – imagine to gains! To understand WHY it’s more effective to take creatine as a post-workout supplement, not PRE, read my post here. This is a great creatine for those in the US. And this is a quality and cheap creatine in UK/Europe. You’ll then be eating solid food some time within 3 hours after training (within 3hrs of your shake). You should already have this prepared to avoid guesswork (or at least know in your head what you’re going to have). 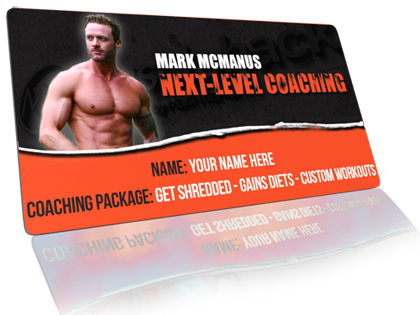 By the way, I can set up all your meals with the perfect macros and calories for you here. For me, I presented my perfected post-workout meal here. It’s couscous, chicken breast, and veggies with melted butter (fat in this meal is fine). I like to get about 40g of protein here again in this meal, and that requires about 160g chicken breast. I workout a night. Have a shake then my post meal an hour later and go right to bed. Should I avoid fats in this final meal? @TOG. No, you only avoid fat in the shake. Take fat in the meal.